Perspective surely changes when you re-watch a movie after a gap of 7 years. And this one was no exception. I would vote that the '90s was the era of the thriller genre- Se7en , The Sixth Sense, The Usual Suspects, Fightclub- you name it, they excelled it. 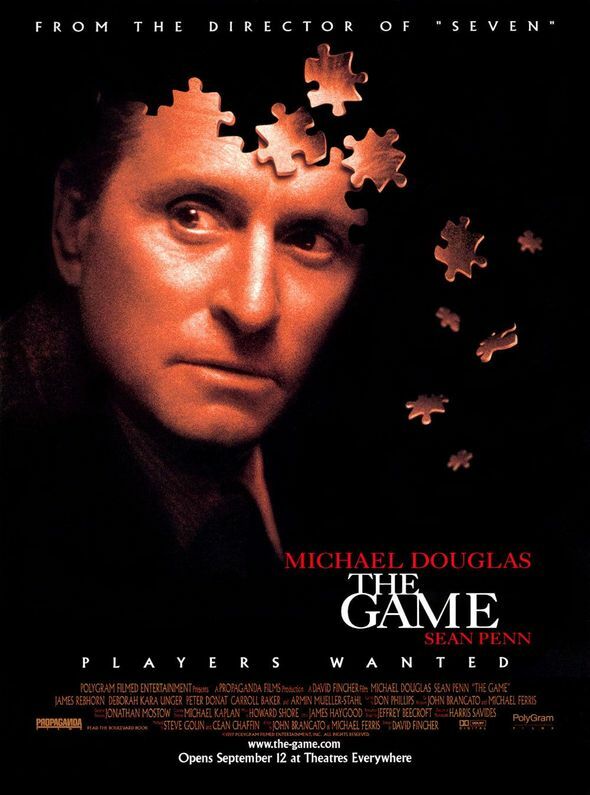 And David Fincher's 'The Game' is no exception; the ending is almost a perfect one and there is never a dull moment in the movie. Sean Penn excels as always, and Michael Douglas plays quite well as the present-day Scrooge-ish protagonist who is, despite all the wealth he possesses, a loner. Until he is given a recreational service offer- CRS by his younger brother as a birthday present. CRS offers their clients a specifically tailored experience, clinically titled- 'The Game'. What follows is an expected sequence of twists and turns that surmounts to a convincing shock a psychological thriller should provide. Why to go for it: Michael Douglas+ David Fincher+ Sean Penn+ Thriller= a must watch! Low points: You might feel some events as left unexplored, perhaps some over-the-top moments too. Bottomline: Watch this if you haven't already; a thriller flick that stays in mind long after the credits have finished rolling. You would even want to watch the climax more than once. Being a patron of political thrillers and an ardent fan of Dibakar Banerjee, Shanghai sadly, disappointed me. Because when you carve a niche among your viewers, you simply have no choice other than living up to their expectations. And you simply cannot expect to gain praise just because of some shady awesome cinematography and crafty direction. Because there is only one thing that surmounts as a blunder- the abruptness. Why? Why would you end the movie as if you were dancing to the tunes of the producers? Why would you make it seem as if you were bound on a deadline? Why would you not explore more the sheer idiosyncrasy which you unraveled at the start of the movie? A lot many questions. With no satisfactory answers. The only good thing I could make out of this is- maybe, THIS is the message Dibakar wanted to deliver: how the expectations of the aam aadmi is always built by the promises of the political sharks, but gets shattered once the phase of elections reach a conclusion. But sadly, he had to be smarter to deliver this message. And hence, the insufficient addition of the satire to mount this conclusion, backfires. Rating: 6.5/10 - only because of Kalki Koechlin's strong performance. Will surely watch The Game - sounds interesting, the way you have reviewed it :-). Shanghai - I believe was supposed to end the way it did else what would differentiate it from other bollywood pot boilers? I loved Kalki's performance, apart from Abhay & Emraan, specially in the climax scene when she holds Emraan & a tear escapes her eye.